Tony Vilar, a southern Italian, moved to Argentina as a child and became one of the most successful South American singers of the 1960’s. He garnered worldwide acclaim for the song “Cuando Calienta el Sol”. 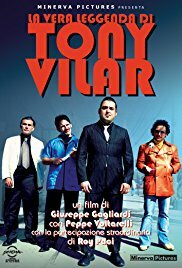 At the height of his career Tony Vilar disappeared. This is Italian singer Peppe’s humorous quest to find him.